Security is a fundamental element in smart energy systems. SUCCESS designs therefor a next generation smart meter (NORM) with advanced security options and extra on-field smart functionality. The threats to smart grids and critical infrastructures are identified with the aid of attack trees, which visualize sequences of actions that lead to the malfunction of a utility. 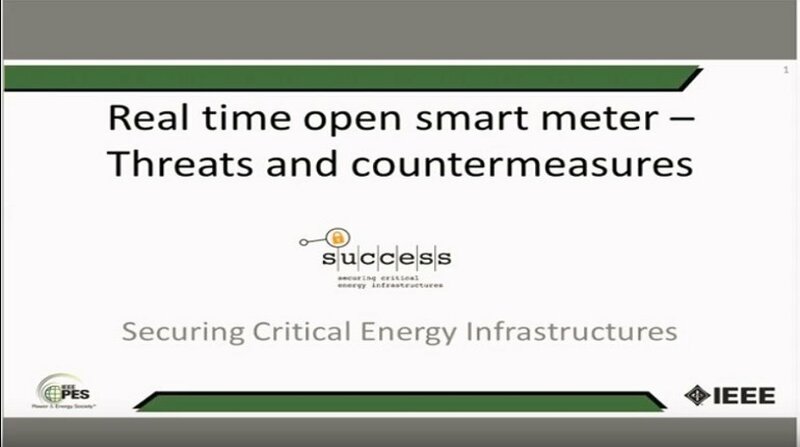 The goal of the webinar is to examine certain attacks against the smart grid and how they are mitigated by the inherent features of the NORM. The inhibitory capabilities of the NORM against the evolution of the attacks are depicted through attack trees. Such mitigating factors are Precise Time Protocol used in real-time Situational Awareness, Physical Unclonable Functions used for authentication, encryption and hardware tampering indication, the Local Security Agent, which protects against malware, hardware/ firmware changes and firewall intrusion and the Data Centric Security, which enables authenticity of crucial data.